The beach is located between the San Elijo State Beach campgrounds and the Restaurant Row in Cardiff just off Hwy 101, and it has been called the Riviera of the West. 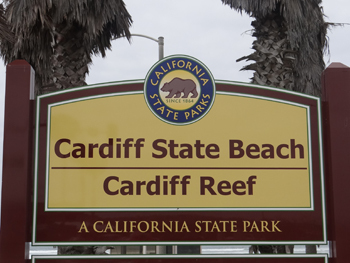 Cardiff State Beach has a gently sloping sandy beach with warm water. The site offers swimming, surfing and beachcombing.